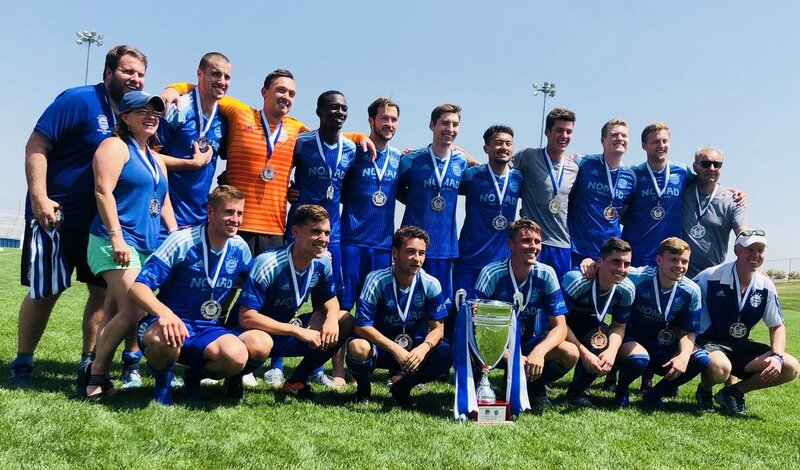 Milwaukee’s Bavarians has won both the USASA Cup and the UPSL championship this season. The club has a long history and keeps on relying on former legends from the clubs, altogether in a family environment. A recipe for success ? Voices call out from the inky past around the Bavarians’ stadium on game days. This is no metaphor. The old-timers, literally, huddle near the snack stand and murmur about the state of play today and compare it to the old days. At this 90-year-old amateur club, a few miles north of downtown on the muddy banks of the Milwaukee River, the past grumbles, whispers and shouts – it always has a lot to say. "This is a club built on tradition," said Braden Andryk, 22, who's helping keep that long tradition alive in 2018 with a National Amateur Cup and a United Premier Soccer League (UPSL) Spring National Championship. His brother Logan, older by two years, agreed: "Adding two more stars over this crest is special and it doesn’t just happen overnight. It’s built up over years, like a hundred years." The Bavarians began life in 1929 as Fussball Club Bayern. They’re still among the top amateur teams in American soccer history and one of only a handful with their own stadium. In the old days, visiting German pros like Bayern Munich, Stuttgart and Frankfurt, played friendlies there. The club made an appearance in the U.S. Open Cup Final in 1994 and went on to earn seven national amateur titles (five Amateur Cups and two Amateur Open Cups). "My first memories are of going to the club and watching my dad play," said Bob Gansler, whose father and namesake played for and coached the Bavarians before going on to coach the U.S. national team at the 1990 World Cup. Now an engineer in Minnesota, Gansler (the younger) spends his free time pouring over old photos and newspaper clippings, making sure the club’s tradition is kept alive and vivid. "I remember it like yesterday, going to the field with my friends and playing our own game on the training pitch, peeking over at our fathers and uncles playing for the first team." Gansler, 49, made his Bavarians debut at age 16 and he speaks of the club with a reverence usually reserved for a family member. "The big Christmas party every year, the stage plays our parents forced us to be in," laughed Gansler, a sweeper in the side that reached the U.S. Open Cup semifinal in 1993 and the Final a year later. "It was definitely more than just the soccer games." While Gansler keeps the club’s history alive, his former teammate Tom Zaiss runs the youth academy. Brian Tompkins, another teammate from back in the day, is still involved too. Bavarian bonds don’t break easy. "The old guys, guys even before my dad’s generation, we’re always there," added Gansler with a laugh, thinking back. "The old-timers yelled at us in German about how bad we were. Then, after the game, they’d buy us drinks and tell us how great we were. That’s a bit of the tradition." It’s no different today. Just ask the 2018 team co-MVP Andryk brothers, or any of their teammates who hold down day-jobs and play for the Bavarians only because they love it. They make sure their little brothers and young sons have someone to idolize until their own calls come. "A lot of the guys who played in the Sixties and Seventies are still here. They talk to us and have a beer with us after our games," said Braden, knowing the power of that crest and those blue-and-white stripes. "That’s what it is to be part of this club – and you can’t help but be proud to continue a legacy like that."